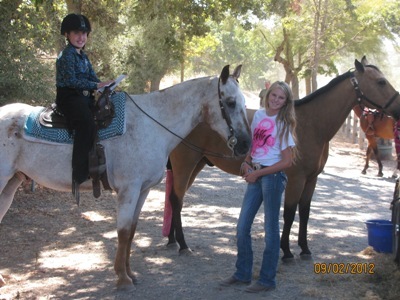 DIRECTIONS: The Equestrian Center of Walnut Creek is located on N. San Carlos Drive in Heather Farms Park off of Ygnacio Valley Road in Walnut Creek, California. From 680 No (towards Sacramento) or from Hwy 24 East Take the Ygnacio Valley Road exit. Turn right at bottom of exit follow Ygnacio Valley Road for about 2 miles. Turn left onto N. San Carlos Drive. Follow N. San Carlos Drive past Rec Center Offices and it will make a turn to the left. You'll pass pond on the left, and the Dog Park on the right, the Equestrian Center will be on your left. From 680 So (towards San Jose) Take the North Main Street exit. Follow the exit around to the right onto North Main Street heading south. Turn left onto Ygnacio Valley Road for about 2 miles. Turn left onto N. San Carlos Drive. Follow N. San Carlos Drive past Rec Center Offices and it will make a turn to the left. You'll go over a small bridge and the Equestrian Center will be on your left. Turn right onto N. San Carlos Drive. Follow N. San Carlos Drive past Rec Center Offices and it will make a turn to the left. You'll go over a small bridge and the Equestrian Center will be on your left.